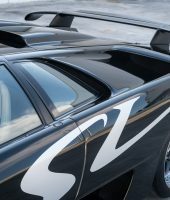 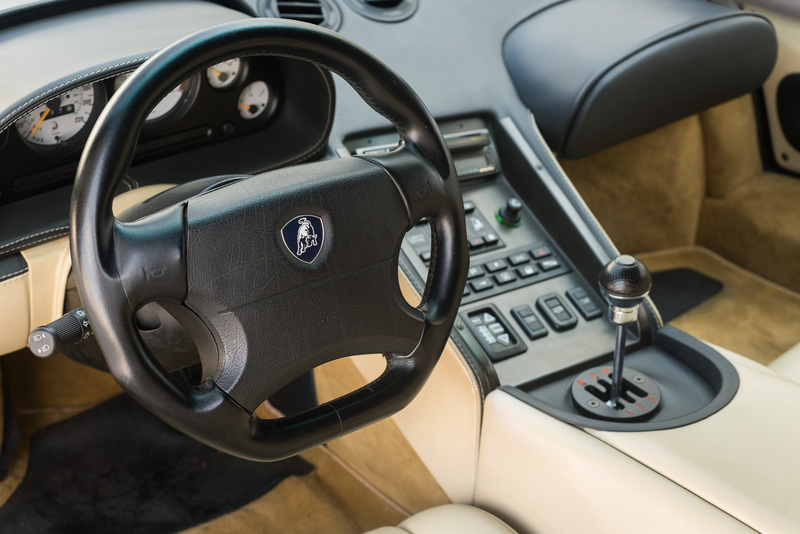 The Lamborghini Diablo SV was introduced in 1995 at the Geneva Motor Show, reviving the super veloce title first used on the Mirua SV. 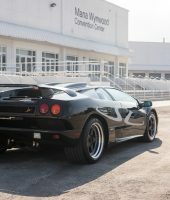 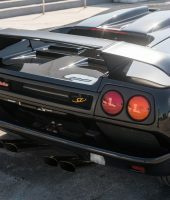 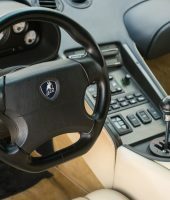 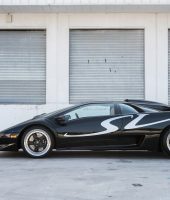 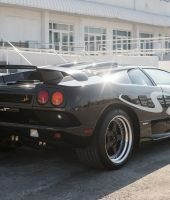 The SV is based on the standard Diablo and thus lacks the four-wheel drive of the VT. A notable feature of the SV is an increase in power output to 517PS (510BHP; 380 kW) at 7,100RPM and 580 N⋅m (428 lbf⋅ft) at 5,900RPM of torque, which, paired with the two-wheel drive layout, can increase the likelihood of loss of traction during hard driving. 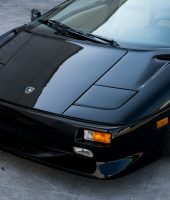 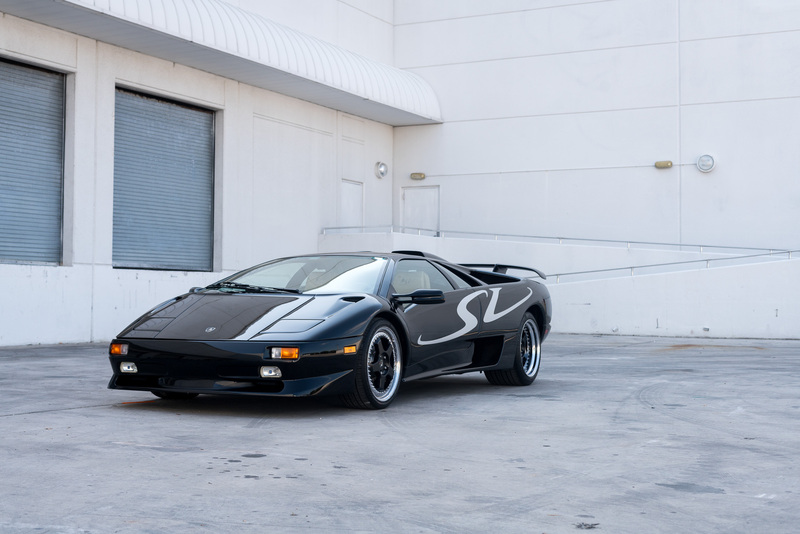 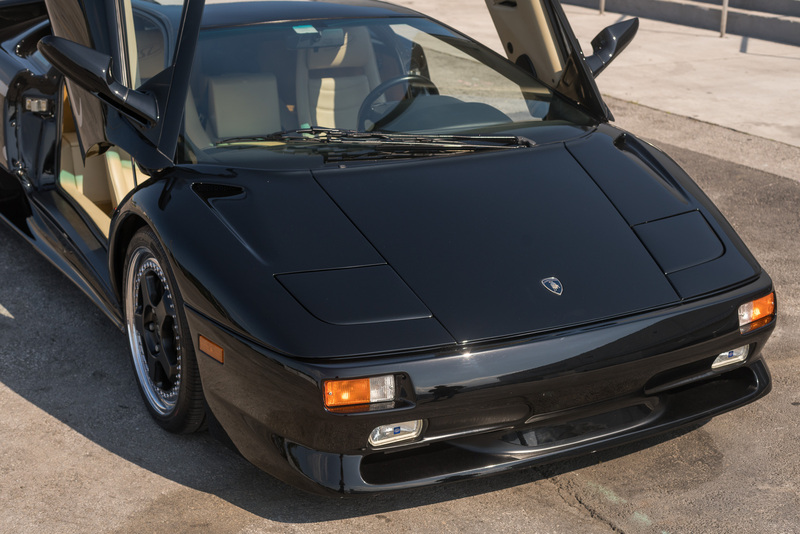 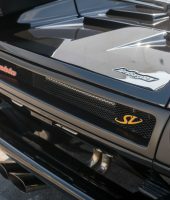 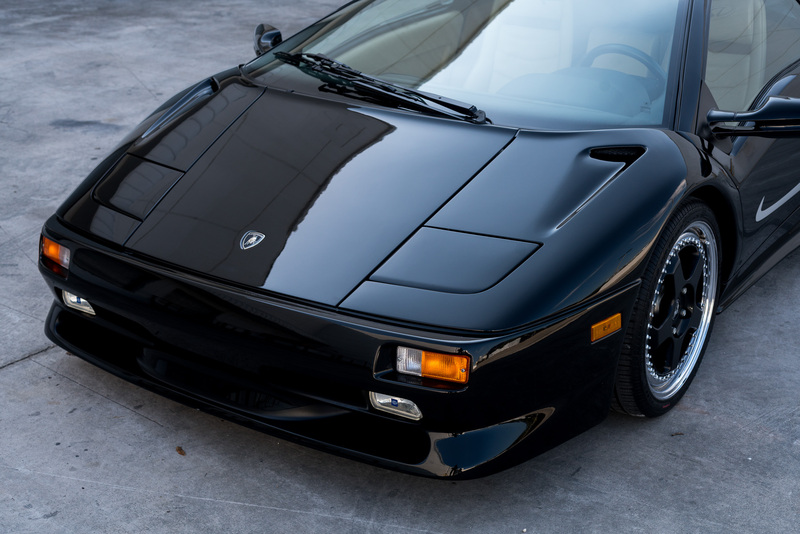 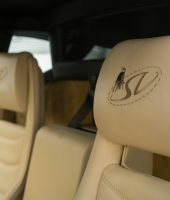 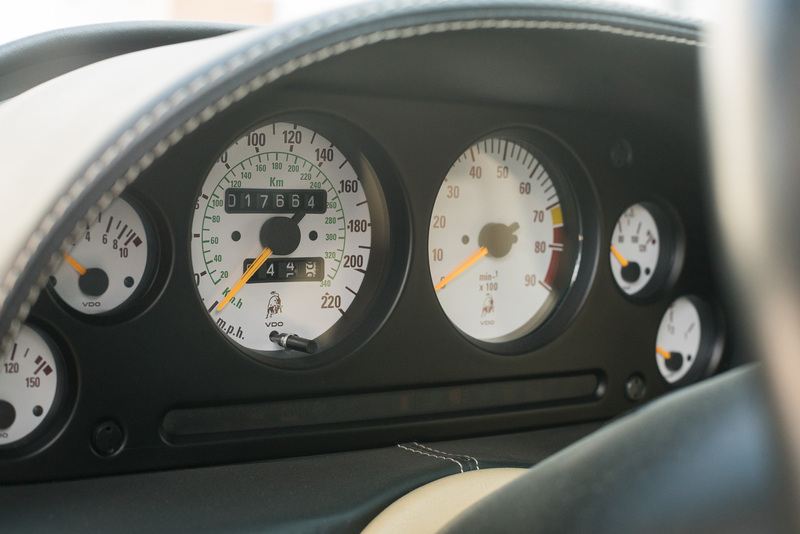 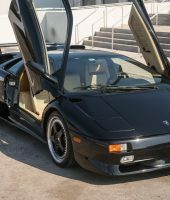 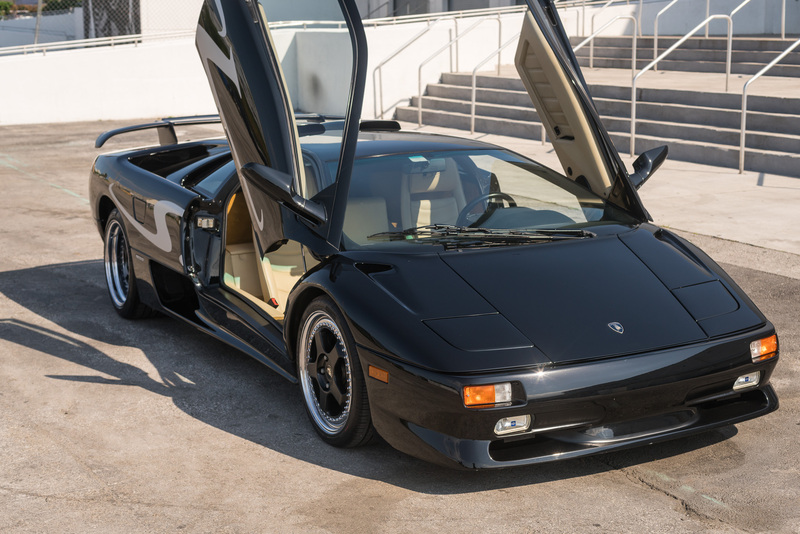 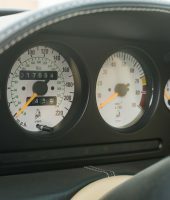 Despite its higher power output, the SV was priced as the entry-level model in the Diablo range, falling below the standard Diablo by a small margin. 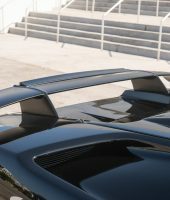 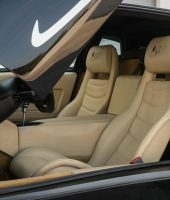 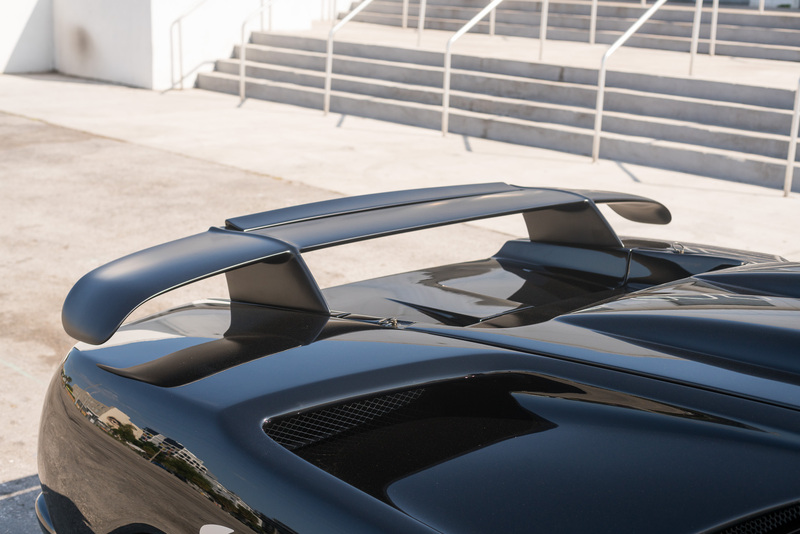 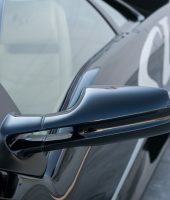 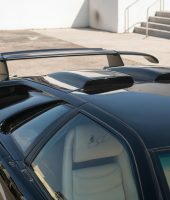 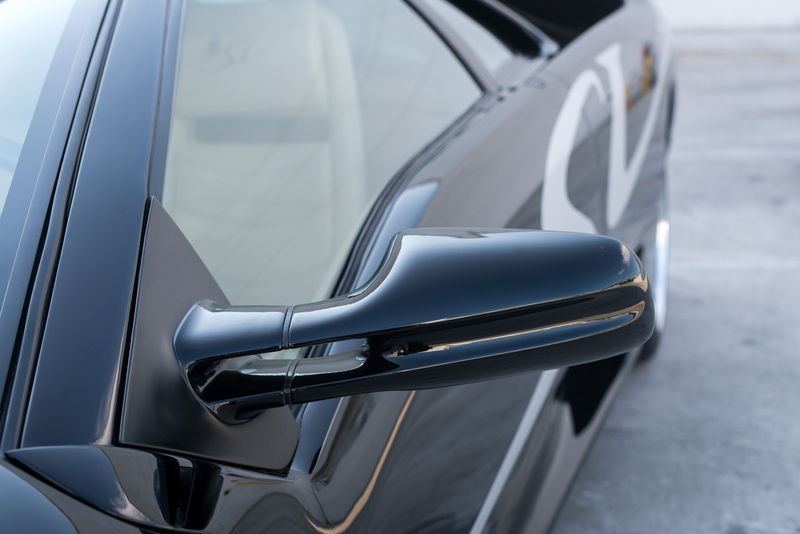 An adjustable rear spoiler was installed as standard equipment and could be color-matched to the car body or formed from carbon fiber. 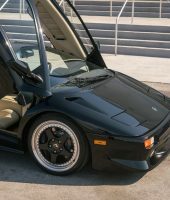 Other exterior changes included black tail lamp surrounds, repositioned rear fog and reverse lamps as on the SE30, dual front foglamps (rather than the quad style found on all previous models), an extra set of front brake cooling ducts, a ducted engine lid similar to that installed on the Diablo SE30 Jota, and optional “SV” decals for the sides of the car. 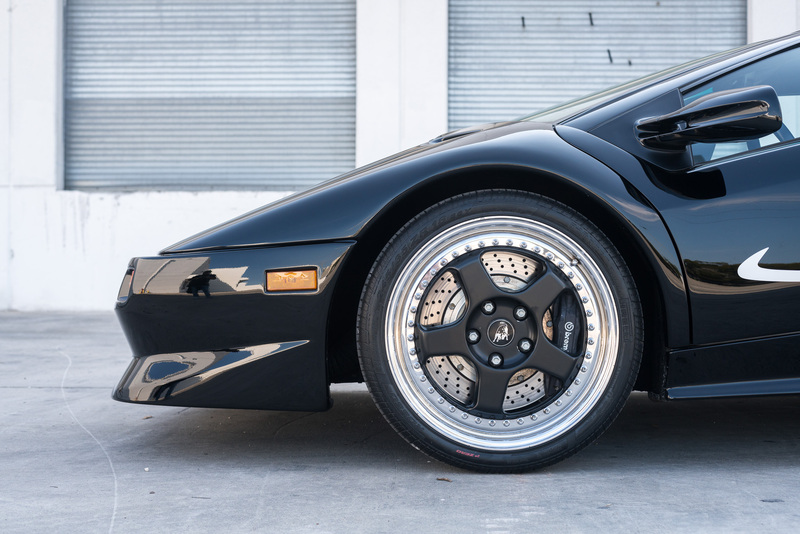 The SV also featured larger diameter front brakes (13.4”) and a corresponding increase in front wheel size to 18”. 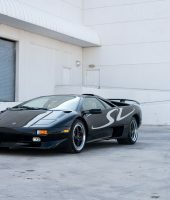 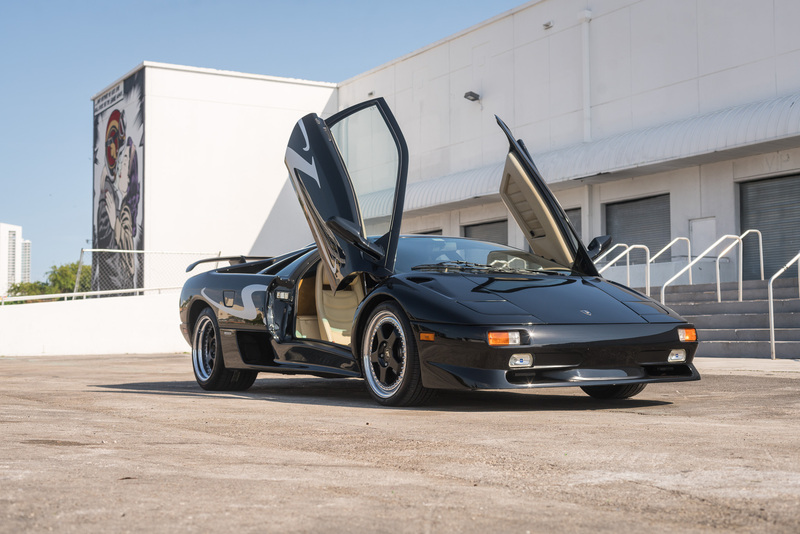 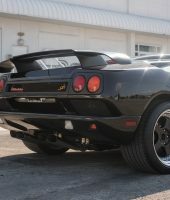 In 1998, a limited 20-car run of Diablo SV’s was produced exclusively for the United States market and called the Monterey Edition. 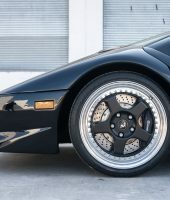 The most notable feature of this edition was the use of the SE30/VT Roadster style of air intakes in front of the rear wheels, unlike the traditional (and persisting) SV style. 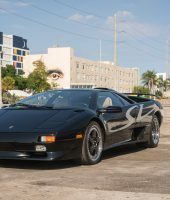 Several of the cars were painted in unusual, vibrant colors. 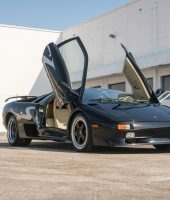 One Monterey Edition, featuring an upgraded engine and brakes, was driven by Marion Andretti during the Lamborghini-sponsored “Running of the Bulls” event in California. 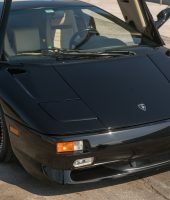 The Monterey Edition was foreseen to be a collectible, but due to the popularity of the fixed-lamp models to follow, its value did not rise as significantly over time as expected. 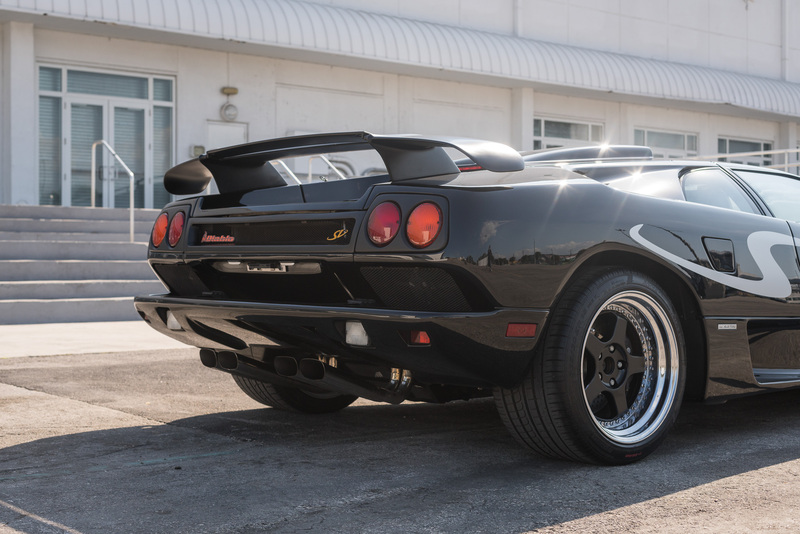 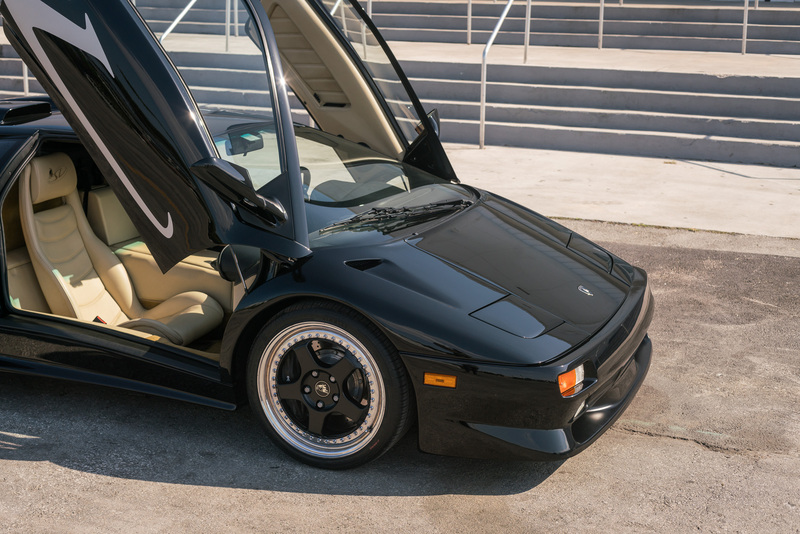 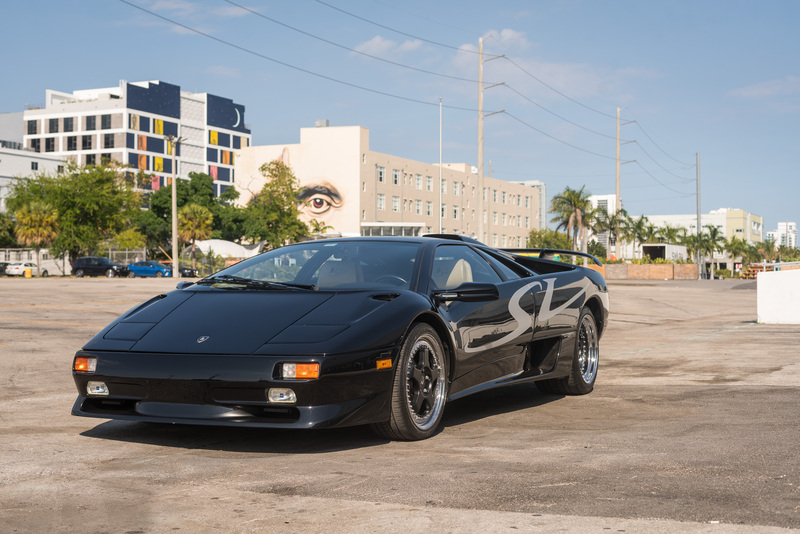 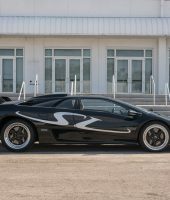 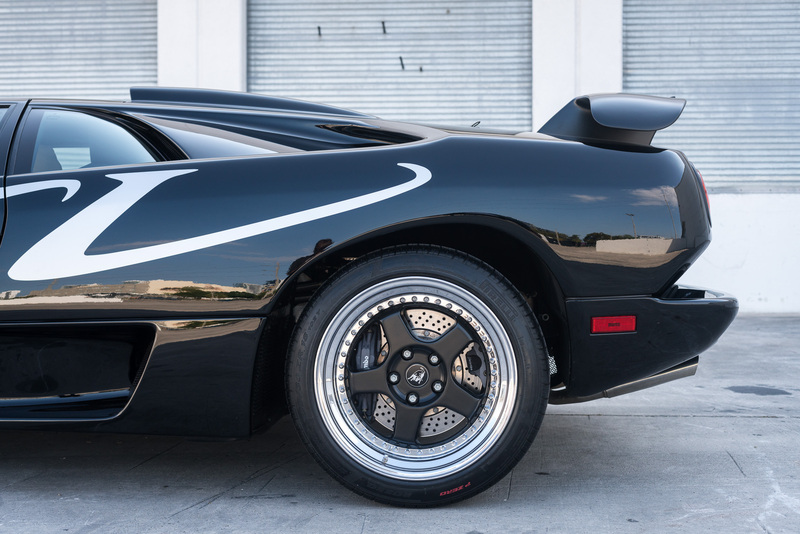 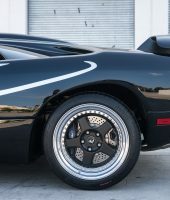 This Lamborghini Diablo SV in Nero black over Snowcorn is a brilliant example and was part of a famous image made with several other Diablo SVs at the former Nelson Auto Group’s Lamborghini of Ohio in Marysville.